Free up a member of staff who previously spent all day monitoring backups. Redstor’s intelligent, policy-driven automation, and sophisticated reporting enables IT staff to manage by exception and easily evidence compliance. 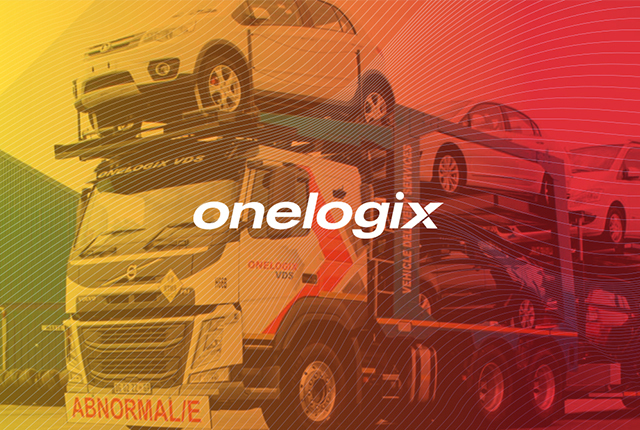 Dawid Joubert, Group IT manager at OneLogix, revealed that previous backup clients were not always in sync and this led to issues restoring data. He said: “Our life before Redstor was sleepless nights and a lot of headaches. We had onsite backups on our own infrastructure. We hosted the platform on our internet connectivity and remote users would back up to this platform during each day. We would get email notifications that it was working and would assume it was successful until we had to do a restore. Regular testing revealed an 80-per-cent failure rate. The data that was backed up was not consistent – so we would get a message that it was not readable and that we could not back up or restore the information. Or we would get a situation where a 1GB file would take almost 24 hours to restore. It was horrendous. When we do a restore with Redstor, I can confidently say that I’m going to get a 100-percent success rate. I recently restored 200GB of data – individual files and big data base files – and I had zero failure rate. It was not one backup of one server, it was running across the fleet of servers we have, doing backups and restores from files or directories or databases or virtual machines. We selected and restored it literally in minutes and tested it as well. I’m sleeping a lot better now. Transparent and predictable pricing with no hidden costs or surprises. Easy installation, no hardware costs, and the ability to scale up or down as demand changes. This is of great benefit when Joubert’s IT team needs to recover files that users have unwittingly deleted or overwritten or when a software update has caused a system to go down and staff have had to restore SQL databases. He said: “The other day, while I was at a conference, I learned we needed to restore data from a few weeks earlier. Redstor helps radically reduce the impact of security incidents, data breaches, and hardware failure, with a fast, proven data management service. Redstor unifies backup, instant data recovery and access, archiving, search, and data migration through a secure, central console, enabling borderless visibility of an organisation’s entire, complex data estate at any time, on any device. OneLogix now benefit from the latest cloud-based tools, and Joubert is safe in the knowledge that the company has best-of-breed data management and protection. He said: “Redstor has become the standard backup solution for all employees, all servers – no matter what is running – whether it is Mac OS, or a Windows-operating system. “All the workstations are on Redstor, as well as all 60-plus servers in the region throughout the group. Deployed and configured in 15 minutes, Redstor has made OneLogix’s data management problems smaller and simpler. Joubert said: “Before Redstor I had a dedicated support technician monitoring backups full time. The guy would pull the reports and then phone users, trying to work out why their backups were not running. Was it software related? User related? System related? Then he’d re-initiate the backups and hope for the best. That was a dedicated resource, monitoring everything actively to establish what was happening, which was costing us money. We don’t have to do that now. With Redstor we get daily reports, highlighting when there’s a server that might have failed or not backed up in a while. Issues are typically user or system related. The most recent failure was down to a network connection – not once has it been down to the Redstor software. OneLogix’s IT team was looking for a solution that was low on administration. Being able to look after all data from one easy-to-use, central management console and monitor usage at any time, on any device has been of major benefit. Joubert said: “Redstor is self-maintained. We set up the environment to update itself, so we do not have to go to any end-user to update their backup solution. Redstor does it automatically for us. Joubert said: “We took it one organisation at a time. Every IT technician had their batch of users to migrate, starting with important users and finishing with day-to-day desktop users. It was fun and very quick. The guys were trying to figure out who was doing it fastest. As well as removing manual overheads, Redstor has replaced OneLogix’s dependency on removable media. Joubert said: “We have saved a tremendous amount of money. We have saved on the per-GB billing and on our network structure – by not having to maintain dedicated connectivity for our in-house solutions, by not having to maintain another virtual machine in terms of anti-virus and updates, and by no longer needing a dedicated resource. Redstor’s clients have 24/7 access to a support team that draws on 20 years’ knowledge and experience within the storage and backup industry. Joubert added: “All the way from pre-sales to after-sales, Redstor has been absolutely tremendous, setting a new standard for what we expect from some of our other suppliers in terms of support. Redstor was continuously asking us for feedback, allowing us to explore all the options, while the speed of response and level of expertise is good. OneLogix’s IT staff have the reassurance that they are speaking to an organisation that is both the technology vendor and infrastructure owner. Redstor also feeds all customer input directly into software development. That’s why the software is constantly improving in the way clients desire. Joubert said: “Having the software built and developed in-house has made a huge difference. Redstor understands the product better than a reseller, who maybe would not know all the ins and outs of a system. I recall once when we opened up the console to try to do an instant restore, we got an error message. We logged the support ticket and realised that our console was out of date. It had been asking us to upgrade, but we’d ignored it. Being able to know exactly which button to press and at what time makes a huge difference, especially when you are stuck in a pickle and need to get a problem sorted out quickly. Redstor is trusted by more than 40,000 clients around the world to help discover, analyse, control, and protect their critical data. Joubert said: “We looked at a couple of products and trialled them. Cost played a part in the decision but was not the over-riding factor. In the end Redstor won hands down on every criteria. We haven’t looked back once. OneLogix is a JSE-listed entity and the CEO expects me, as group IT manager, to provide a solution that not only looks good on paper but can be proven to be good. Redstor has made my life a lot easier. Redstor has allowed IT managers and CIOs to stop focusing on putting out fires and being swamped by tick-box exercises. Instead we can look at being innovative and concentrate on driving value to the business. For further information please visit www.redstor.com.